Hello everyone! If you have just recently stumbled upon this blog, we are currently doing a series on how to make a transition towards Paleo diet. If you are new to Paleo, it would be beneficial that you take time to read Paleo Diet Foods Made Easy and Inspirational Paleo Diet Results That Will Make You Want to Begin. These articles will give you a better understanding on what Paleo diet is all about. Paleo, as I have already mentioned several times in my previous posts, is more than just a diet. It is an amazing lifestyle that can help you maintain a healthy body, regain your ideal weight and enhance your physical performance. Paleo diet involves the elimination of certain food products and sources that irritate the body in order to help the body naturally heal itself and promote weight loss. If you have read my post Paleo Diet Food List Guide – What To Eat And Not Eat then you are fairly familiar with the common do’s and don’ts of Paleo diet. If you really think about it, Paleo diet is less restrictive compared to other diets that require elaborate preparation, specific potions and other routines that are not easy to adapt to on a daily basis. Except for the challenge of eliminating grains and processed food products, I’d say, Paleo diet doesn’t require much change from a regular healthy diet. When transitioning towards a Paleo lifestyle, it can be all too easy to unwittingly commit some blunders that may hamper your weight loss progress (that is, if you are trying to shed off excess pounds) and from moving towards a healthier lifestyle. So without further ado, join me in debunking and correcting some of the most common misconceptions and mistakes associated to the Paleo diet. When it comes to embracing ‘healthy eating’ people in general have the assumption that they should replace their stash of junk food with endless servings of fruit smoothies, fruit salad and snacking on fresh, whole fruits. Keep in mind that when it comes to fruits, just because it’s fresh and all natural doesn’t mean it’s the ideal choice. There are certain fruits that are high in fructose content, which is something that should be cut down in order to prevent any adverse insulin response, inflammation and increased fat storage. Fruits identified to be high in sugar include mangoes, bananas and oranges and of course those smoothies and fruit shakes. I have come across a number of feedbacks from people who were disappointed with the Paleo diet because they have not lost any weight or have not observed any positive changes in their body composition after 7 days. 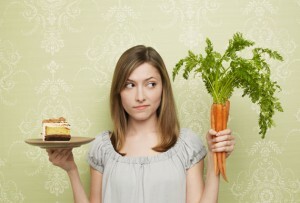 First off, I would like to emphasize that is not a diet designed to deliver any short-term superficial benefits. Paleo diet is a lifestyle that you can embrace for the rest of your life, designed to provide long-term health benefits. So if you are looking for a diet to trim off the flab in 5 days in time for summer, this is not the diet you are looking for. While Paleo promotes the consumption of certain nuts, keep in mind that nuts still contain calories. So while it’s okay to eat nuts, make sure not to go beyond a handful per day. Majority of nuts contain high levels of Omega 6. What is important to keep in mind is to keep the consumption of Omega 3 and Omega 6 in balance. According to a renowned Paleo expet, Dr. Mercola, 2/1 or 4/1 ration of Omegae 6 to Omega 3 is ideal in reducing food-induced inflammation and in preventing diseases. Weight gain and inflammation typically go hand in hand. If you are fond of nuts, ¼ cup is enough for one serving. I have also talked to a number of people complaining about putting on weight or not losing weight while on Paleo diet. Whatever diet you are on, there is one universal truth: CALORIES MATTER. Don’t make the assumption that just because you are following the Paleo food list, you can eat whatever you want without any concern about keeping tabs on your food portions. Even with the best intention, things can go wrong. It can be all too easy to cave in to the temptation of eating your favorite pasta dish. Don’t make one tiny slip an excuse to gorge more on non-Paleo food. Use this as an opportunity to start anew then move on. Olive Oil is a form of monounsaturated fat, which basically resembles the body’s fat stores. Instead of solely using olive oil, consider using coconut oil, which contains high level of medium-chain fatty acids that the body can use for quick energy supply. It is also not stored as an adipose fat and is an exceptionally stable fat for cooking. These are just a few of the most common Paleo diet mistakes people tend to make. I am pretty sure you can also come up with your own list. As a Paleo diet eater, it is always important to keep yourself updated on the latest news and explore new suggestions on how you can best sustain the Paleo diet into your lifestyle. That’s it for now. 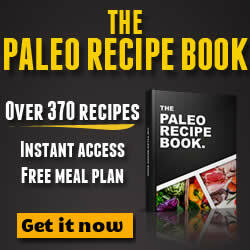 I hope you are able to gain a few additional insights on Paleo diet.